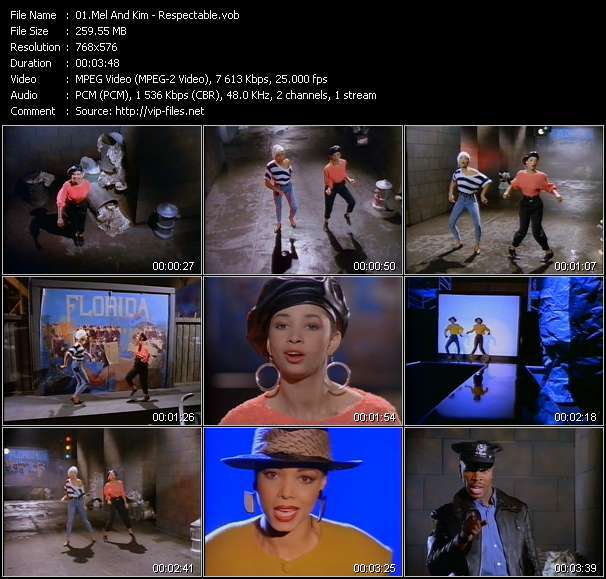 Mel And Kim - F.L.M. Mel and Kim were a British pop duo, comprising sisters Melanie and Kim Appleby. They achieved success between 1986 and 1988, before Melanie, who had been diagnosed with cancer, died in January 1990 at the age of 23. The duo reached number one in the UK singles chart with their 1987 single "Respectable", which also topped the US dance chart. They had three other UK Top 10 hits with "Showing Out (Get Fresh at the Weekend)" (1986), "F.L.M." (1987) and "That's the Way It Is" (1988). In 1988, the were nominated for the Brit Award for Best British Breakthrough Act. After Mel's death, Kim embarked on a solo career and had two UK Top 10 hits with "Don't Worry" (1990) and "G.L.A.D." (1991).